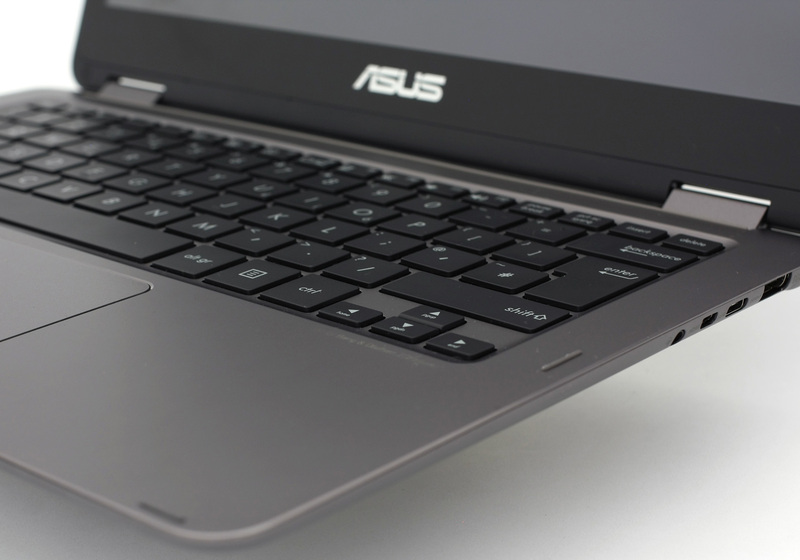 The new ASUS ZenBook Flip UX360 is probably the best upgrade we’ve seen on a notebook. It adopts a considerably higher price than its UX305 predecessor, of course, while adding tons of new features, updated hardware and overall better user experience. The UX305 turns convertible with a 360-degree rotatable hinge – yep, conveniently named UX360 – offers even more detailed QHD+ (3200×1800) resolution to the 13.3-inch diagonal, better CPU options and integrates USB-C connector along with a micro HDMI. However, we see a slight increase in weight and thickness but hardly noticeable. And this is probably due to the larger battery capacity and the touchscreen. 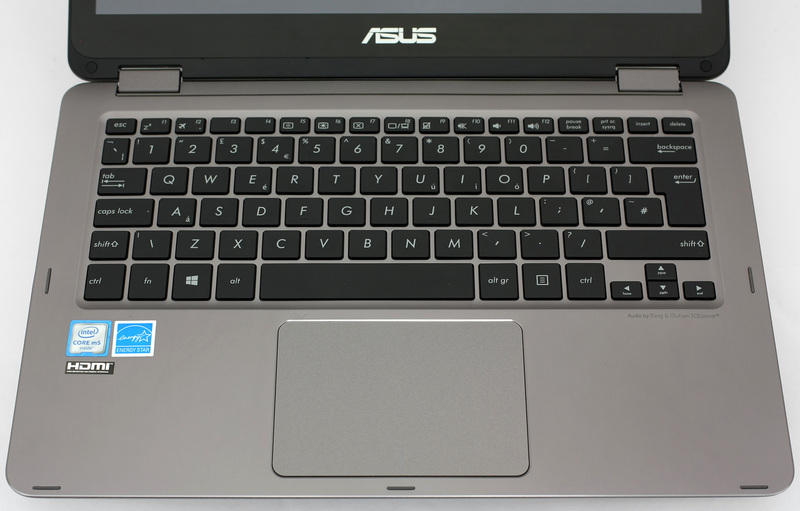 We really hope the UX360 will prove a worthy successor to the old UX305 as the latter set the bar pretty high when we last reviewed ASUS’ fanless ultrabook. Here’s how the machine did in our tests. The retail package contains the notebook itself, an AC adapter, and a bunch of user manuals. The new ZenBook Flip is largely the same as its predecessor in terms of design which is great news. It’s as sturdy and elegant as we remember. 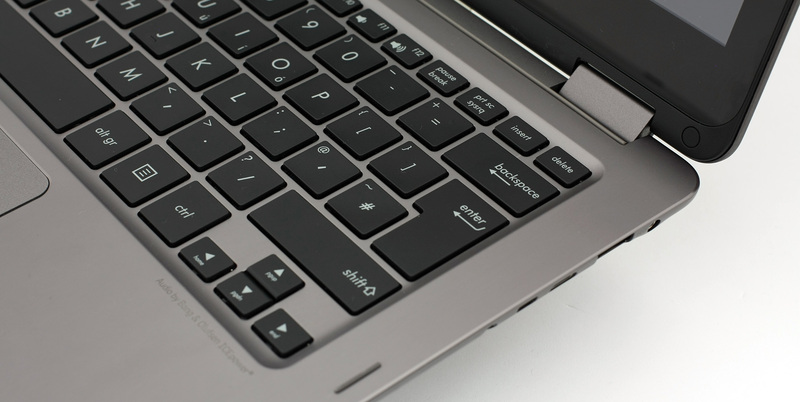 The all-aluminum construction feels amazing and gives you the notion of handling a high-end ultrabook. 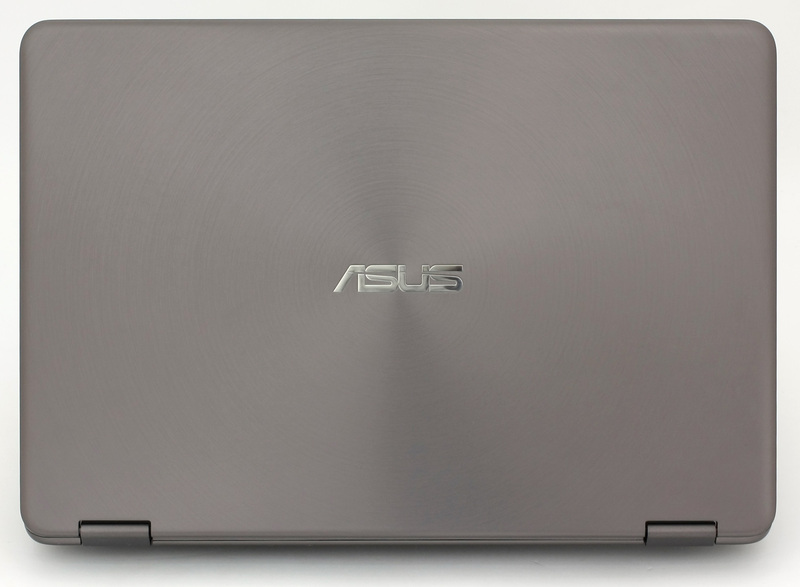 Starting with the lid, it’s covered in brushed aluminum with ASUS’ logo in the middle. It doesn’t give in too much under pressure and doesn’t cause any ripples on the LCD screen. 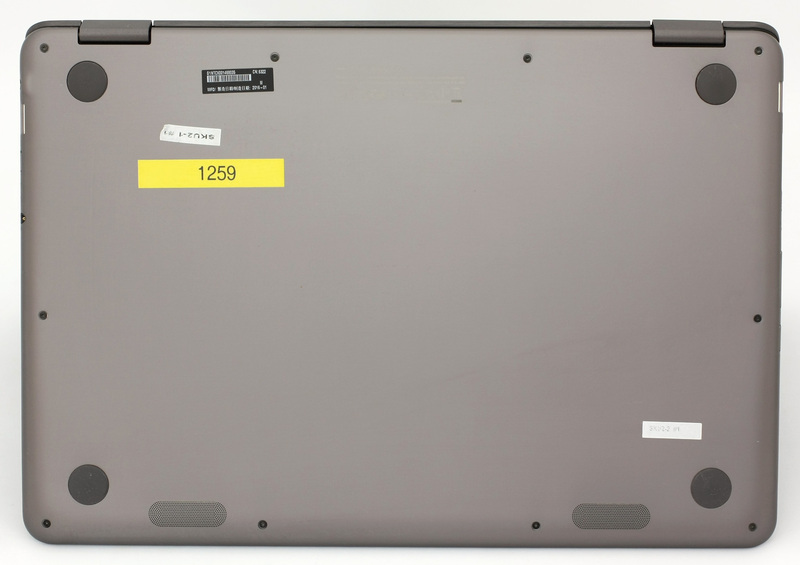 The hinge is tightened enough for you to open the laptop with just one hand. But, of course, the annoying wobbling effect when using the touchscreen in laptop mode is present. It’s not as prominent as other models we’ve tested, but it’s there. Speaking of the screen, we would have really appreciated if the bezels were a bit thinner. The bottom cover feels good as well but adopts anodized aluminum instead of brushed metal plate like the lid. We’ve also noticed that there are no heat-dispersing grills anywhere. Yes, we know that the passive cooling system doesn’t require those, but we’ve seen them on a good number of devices so it will be interesting to see how the CPU will handle load. There are, however, two grills meant for the stereo loudspeakers. Despite the 13.9 mm thick profile, the curved sides adopt a good number of connectivity options. The left side adopts one USB 3.0 port accompanied by an SD card reader, volume rocker, and the power button so you can easily reach them when using the device in tablet mode. As for the right side, it holds the rest of the essential ports – USB 3.0, USB-C, micro HDMI, 3.5 mm audio jack, and the DC power jack. Opening the notebook reveals the interior that adopts the same anodized aluminum as its predecessor (UX305) adding to the premium feel and look. Palms rest comfortably on the laptop and remain cool during prolonged usage. You will find 5 silicone legs positioned around the edges of the keyboard tray in order to provide better stability when using the device in presentation mode. As for the keyboard and touchpad – again absolutely no complaints. The touchpad feels responsive, the surface is nice and large enough for normal operation. The same goes for the keyboard – wide keys, decent spacing and plenty of key travel. The only thing missing, though, is the LED backlight. Or we are getting a bit picky? 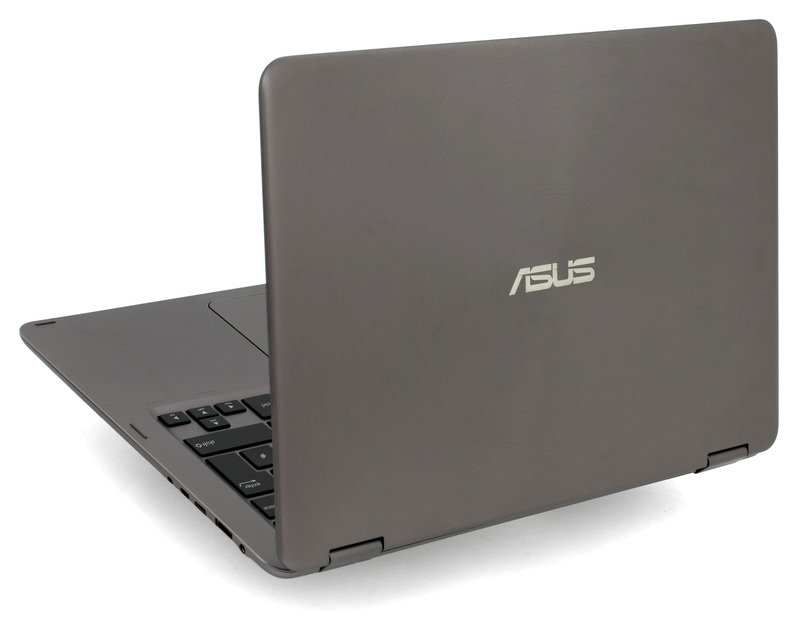 In the end, the ASUS ZenBook Flip offers unmatched design and build quality for the asking price. In fact, we can easily say that the laptop can go against Lenovo’s Yoga 900S in terms of functionality, build quality and user experience but, of course, can’t compete with it when it comes to mobility. The Yoga 900S is a 12.5-inch device after all which might be the main reason why the ZenBook’s keyboard is better. The disassembly of the notebook isn’t hard but it’s a bit tricky. 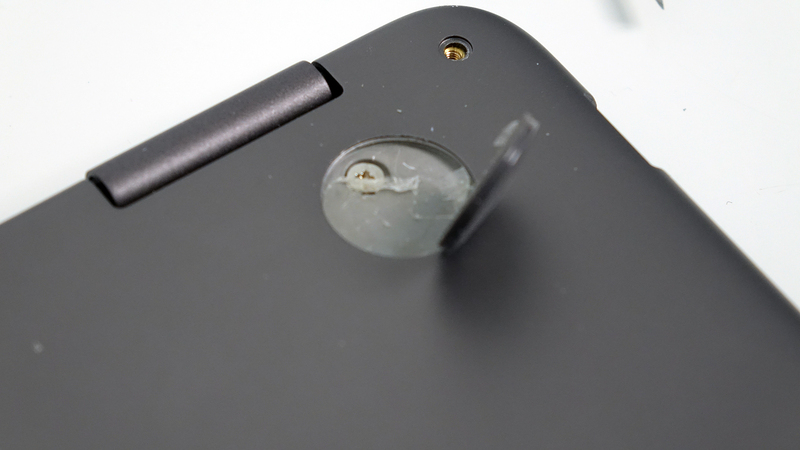 You need torx screwdriver and you have to remove two of the silicone legs/caps on the bottom in order to reach the rest of the screws. Also, watch out for the cables attached to the keyboard. 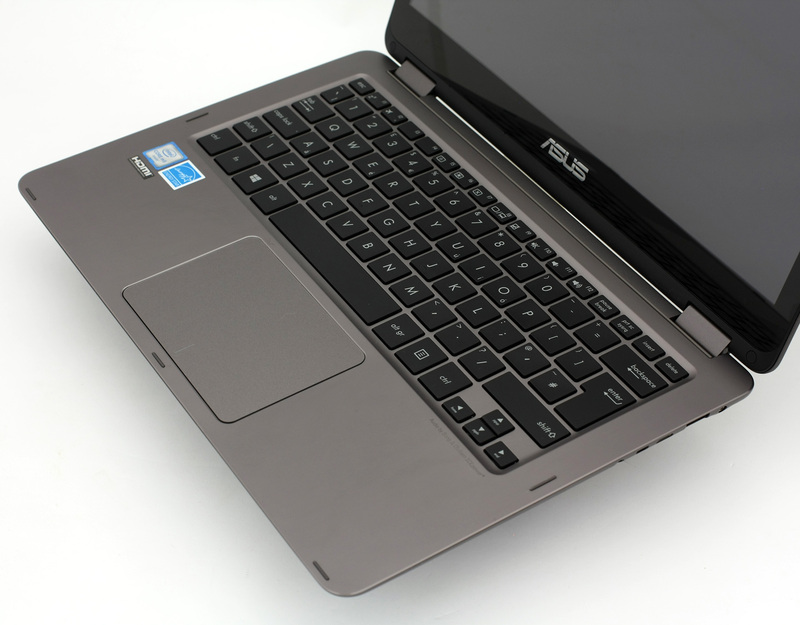 The notebook houses one M.2 SATA SSD and ASUS offers drives in 128, 256 and 512GB flavors. 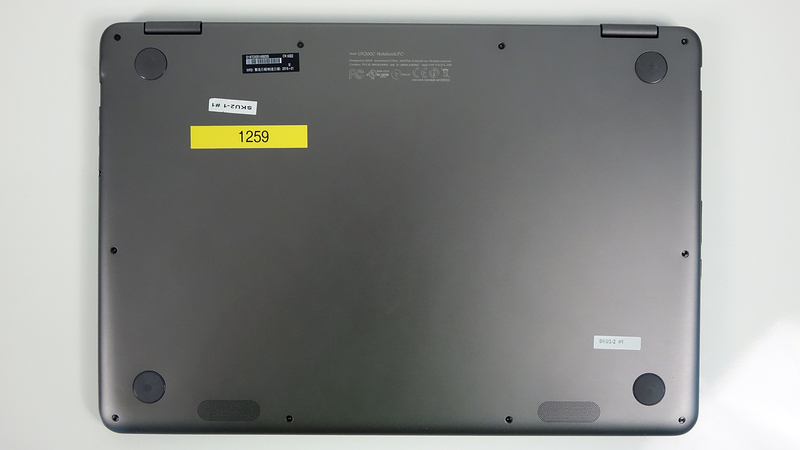 During the disassembly, we found a Lite-On CV1-8B256 2280 M.2 SSD stick. 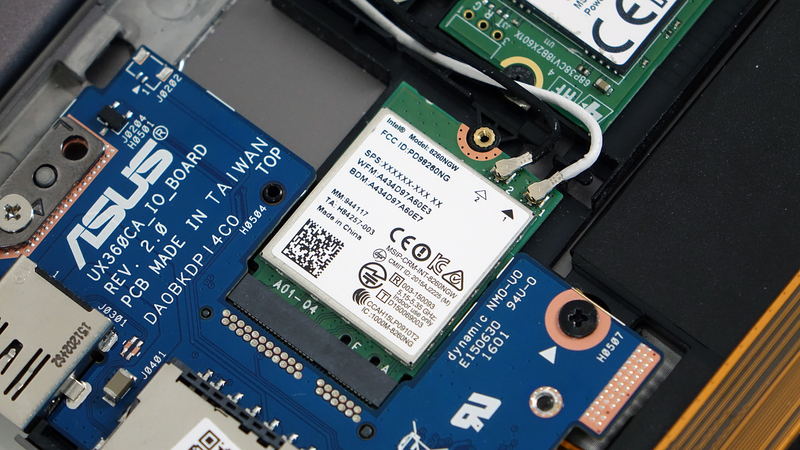 And while the use of SATA controller makes sense for the more affordable configurations, the Core m5 and m7 setups seem to fall behind the competition. For instance, the similarly priced Lenovo Yoga 900S supports the latest M.2 PCIe NVMe standard. The rest of the hardware includes an 8260NGW Intel Wi-Fi module and a huge 54Wh battery that takes most of the space inside the chassis. The notebook uses a passive cooling system, hence no fans, just heat pipes and a heat sink. It’s strange, though, that the M.2 SSD stick is placed right next to the main exhaust vent where the system heats up the most. The unit we are reviewing features a Full HD IPS panel with glossy finish manufactured by AU Optronics with model number B133HAN02.7. The screen measures at 13.3 inches with 16:9 aspect ratio, 166 ppi (pixel density) and 0.153 x 0.153 mm pixel pitch. It can be considered as “Retina” if viewed from a distance equal or greater than 50 cm. Due to the IPS technology, the display offers excellent viewing angles from a 45-degree angle. The maximum recorded brightness was 261 cd/m2 in the middle of the screen and 258 cd/m2 as average across the surface and a maximum deviation of just 4%. We also measured the maximum color temperature in the middle – 7160K and 7090K as an average value which means that colors will appear a bit colder than the standard 6500K white point would offer. 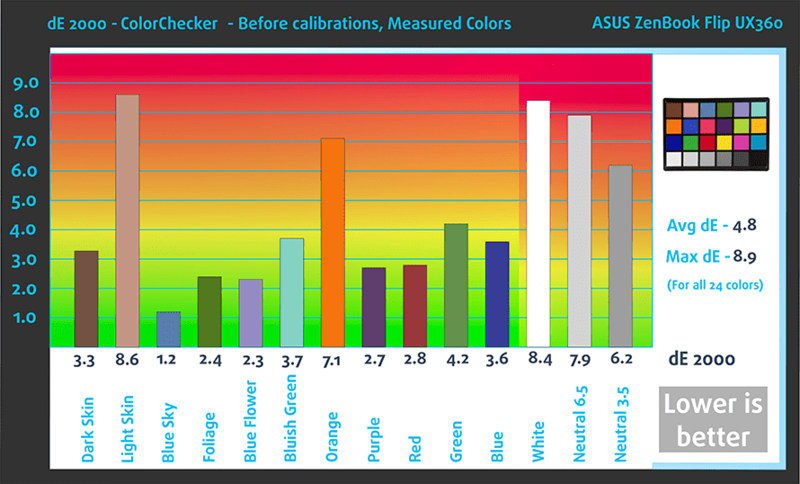 Also, the screen scored pretty well in our color deviation test with dE2000 being only 1.2 in the upper-right corner. Values of 4.0 and above are undesirable. 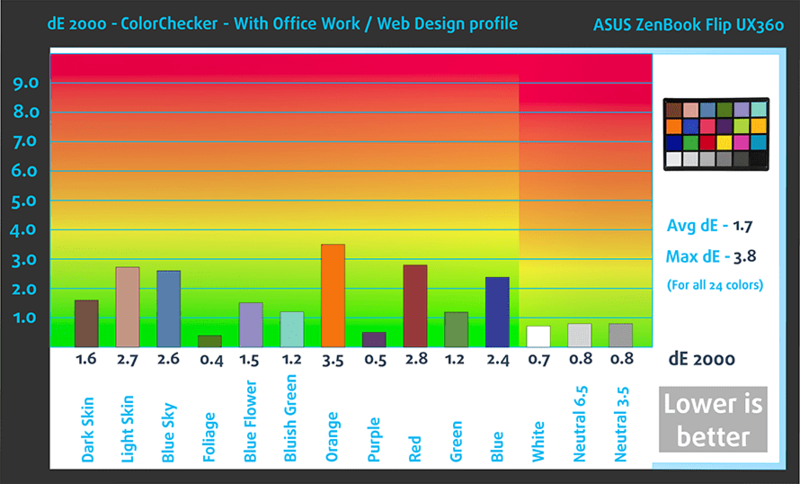 You can see the results from these tests on a 52% (141 cd/m2) screen brightness. 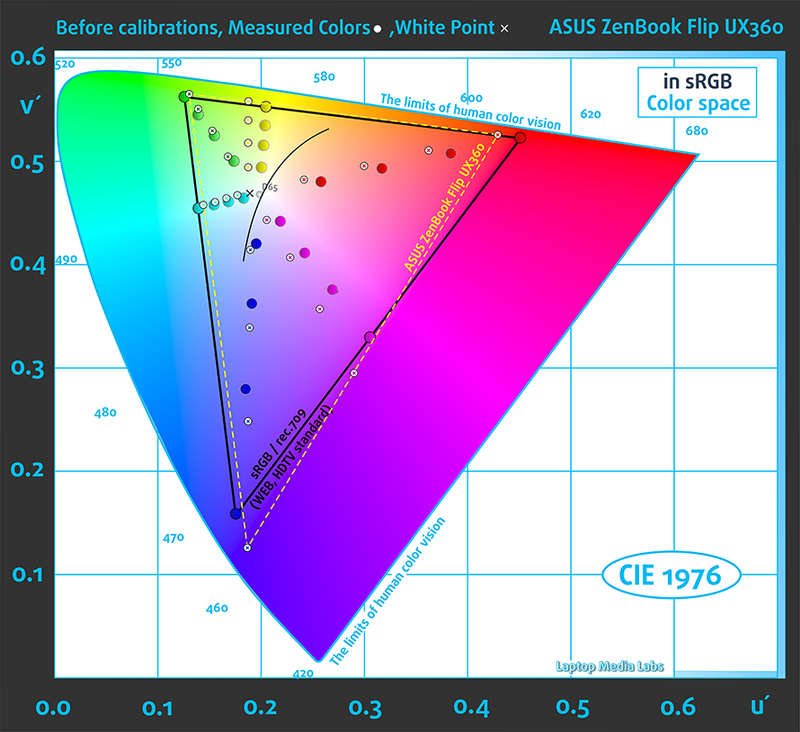 Anyway, the yellow prick line illustrates the sRGB color space covered by the reviewed display which is 86%. The new profile has been set to 140 cd/m2 brightness and 6500K white point and we recorded 1000:1 native contrast ratio and 800:1 after calibration. We’ve detected PWM only at really low levels of brightness (below 25%), which is equivalent to 70 cd/m2. So you may experience flickering only if you use the display at extremely low levels of brightness. 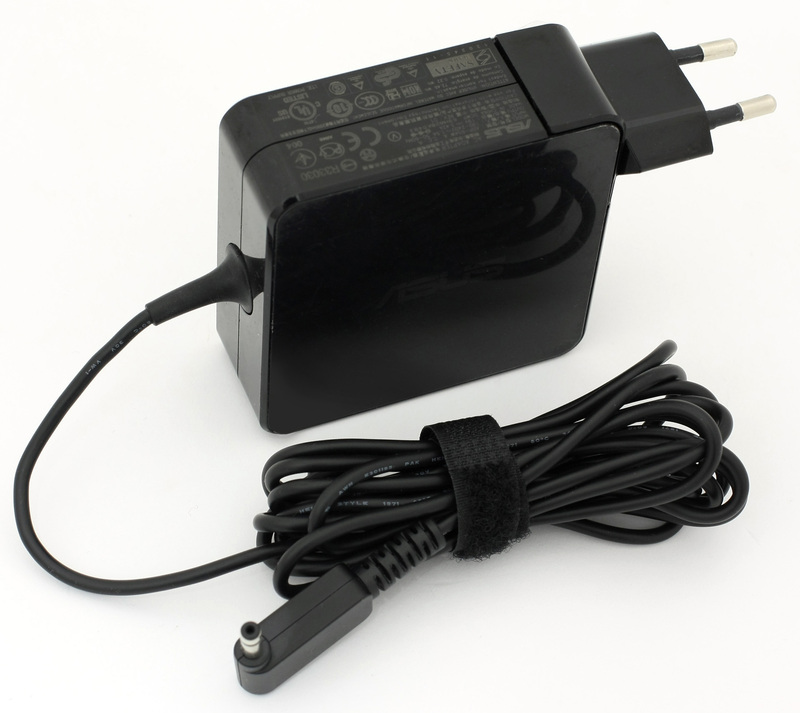 Usually, 70 cd/m2 can be used only in pitch black or really dark rooms/environments. However, the emitted light pulsates at aggressively low frequency (200Hz) so we suggest you keep the slider above 25% at all times. While the display of the ASUS ZenBook Flip has its drawbacks and drags behind its predecessor (ZenBook UX305) by a few percents, it’s still an excellent IPS panel with good properties and holds an edge over the Full HD Lenovo Yoga 900S. It has wide sRGB gamut – or at least enough for a good multimedia experience and general browsing – high contrast ratio, and relatively accurate color reproduction out of the box. The maximum brightness might prove insufficient when used outdoors – and considering the form factor of the device, it might be often – but still enough for good visibility indoors. And finally, the absence of PWM from 26 to 100% luminance is a great plus to consider. Just remember to keep the slider above 25% to avoid any eye strain after long hours of use. The loudspeakers provide good sound quality without any major distortions throughout low and high frequencies and are loud enough to enjoy a movie or an album every now and then. 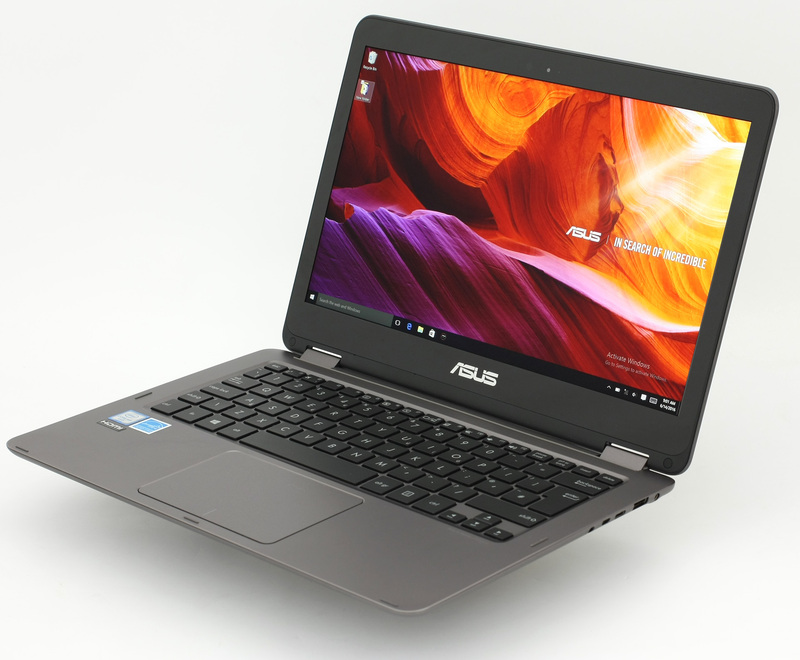 The notebook came with pre-installed Windows 10 (64-bit) and if you are planning to do a clean install of the OS, we suggest downloading the latest drivers from ASUS’ official support page. We are again met with outstanding battery life but the UX360 takes it one step further compared to its UX305 predecessor. 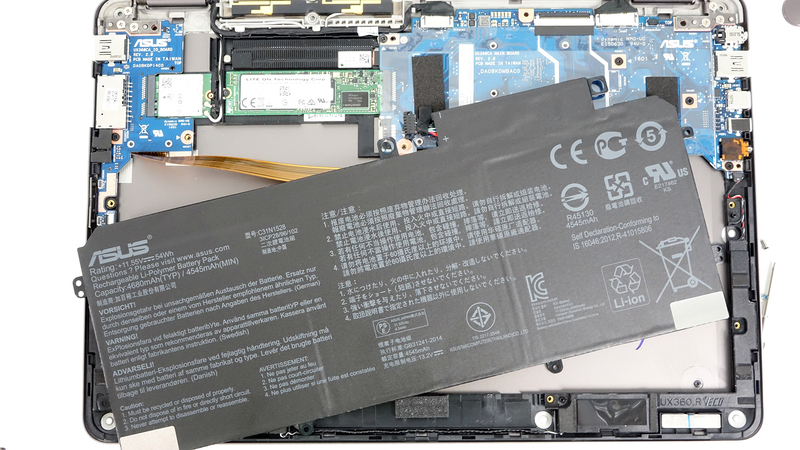 Combining the more energy-efficient – in theory – Skylake Core m5 processor and a larger 54Wh battery unit, the UX360 blows everyone out of the water with extremely long battery runtimes scoring even better than the Yoga 900S, which has a smaller 12.5-inch panel and similar battery capacity and should do better. Also, keep in mind that the QHD variant of the UX360 should bring considerably lower battery performance due to the extra pixels. All tests were performed with the usual settings: Wi-Fi turned on, battery saver turned on and screen brightness set to 120 cd/m2. Outstanding runtime – 543 minutes (9 hours and 3 minutes). Again an excellent result – 464 minutes (7 hours and 44 minute). As expected, the gaming test took a toll on the battery but still scored pretty well with 263 minutes (4 hours and 23 minutes) of play time. Here you can see an approximate comparison between the CPUs that can be found in the ASUS ZenBook Flip UX360CA models on the market. This way you can decide for yourself which ASUS ZenBook Flip UX360CA model is the best bang for your buck. Here you can see an approximate comparison between the GPUs that can be found in the ASUS ZenBook Flip UX360CA models on the market. This way you can decide for yourself which ASUS ZenBook Flip UX360CA model is the best bang for your buck. 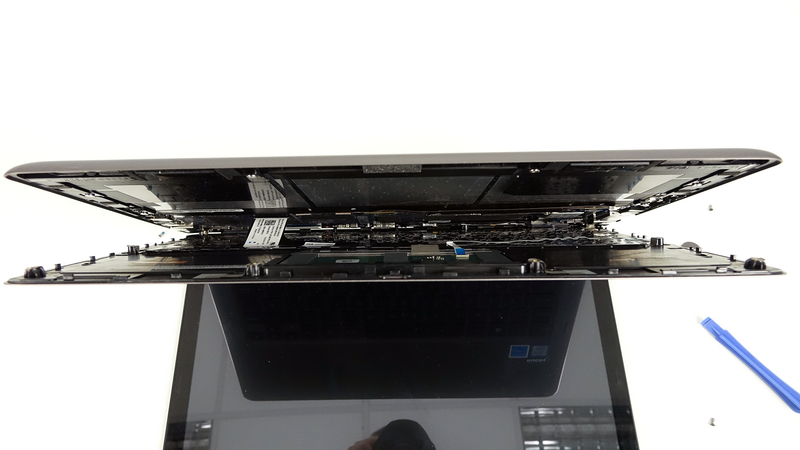 Since the notebook’s mobile processors relies on passive cooling design, which consists only of heat pipes and a heat sink without any fans, we can’t really expect any miracles because it’s not intended for heavy workload for extended periods of time. However, this two-staged stress test gives us a glimpse of how well the processor is implemented and if the laptop can utilize the full potential of the chip, which is pretty important for a Core m-equipped machine. We start off with 100% CPU load for about an hour. The CPU-Z showed good CPU utilization – the chip ran at 2.4 GHz for some time and slowly went down to 1.3 GHz. 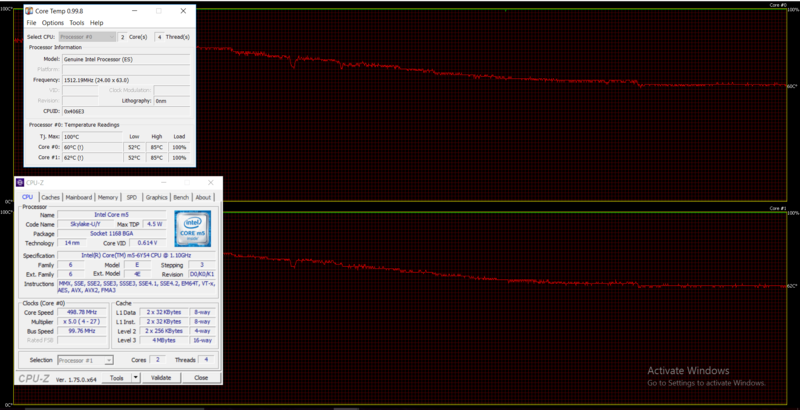 This is quite normal as the CPU can run at maximum 2.4 GHz with two active cores and the base frequency is 1.1 GHz. Therefore, no thermal throttling occurred. After an hour of CPU stress test, we started the GPU workload as well and in order to give some headroom for the GPU to perform, the CPU started throttling at 500 MHz but the CPU’s temperature remained the same and didn’t go above 85 °C. Even during extreme conditions, the notebook remained relatively cool and the user won’t feel any discomfort while using it. The temperature was evenly distributed across the interior because of the heat dispersing properties of the aluminum. Keep in mind that during normal usage, these temperatures will be way lower. ASUS proved once again that thin, light and elegant ZenBooks are still a thing and keep up with today’s industry standards. 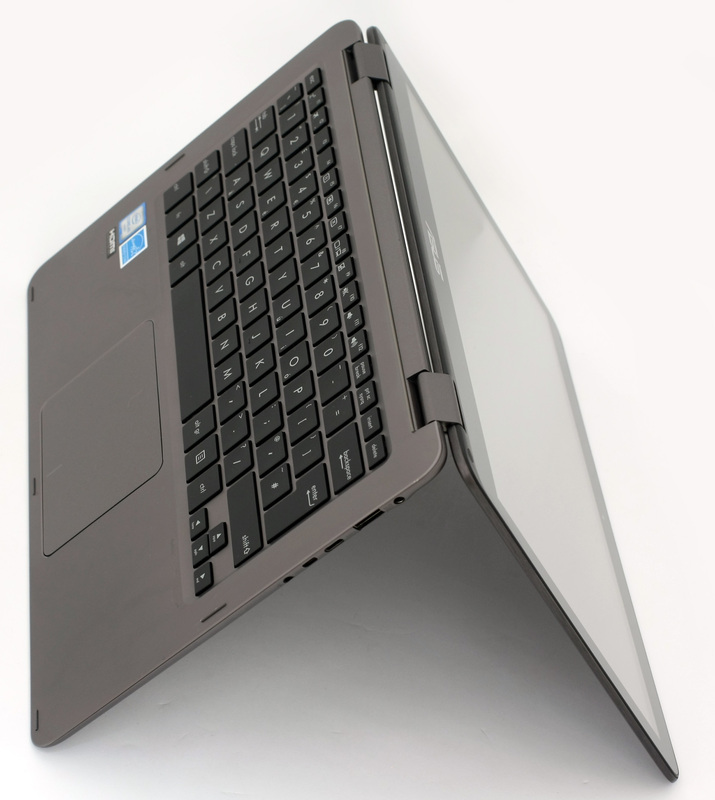 There are no corners cut and the notebook provides elevated user experience compared to its predecessor – the UX305. Yes, sure, it costs a bit more but adds tons of other features that the older model didn’t have while keeping what’s important. It has the same nice-looking, premium and sturdy chassis, excellent keyboard – although the LED-backlit illumination is still missing – and touchpad, it’s thin and light and adds a cool 360-degree rotatable hinge design. On the hardware front, the new Skylake Core m5 processor feels much more responsive and powerful than before. It handles with ease everyday normal tasks like office work, browsing and multimedia. Speaking of which, you will enjoy movies on the Full HD IPS screen with great properties. It’s much better than the lackluster’s Yoga 900S FHD panel. Also, no PWM was recorded from 25% to 100% screen brightness. We doubt you will go under 25% brightness anyways. Especially when the notebook’s display might prove a bit dim when used outdoors. The battery life is another great thing about this fan-less solution. It beats almost everything we’ve tested so far putting to shame other smaller devices, which in theory should last longer. All in all, the ZenBook Flip UX360 holds up to its legacy and remains one of the best portable 2-in-1 solutions currently on the market. And if you think that $1 299 for this particular model is too much, we suggest getting the base model that sells for around $700 with the Core m3-6Y30, depending on the storage configuration, and it’s a bang for the bucks. Thanks for your in-depth look at this device. I notice in your CPU-Z screenshots that the max temperature that the cores reached was 85 degrees. When temperatures reach this point, do you believe there is any danger posed to the SSD, given its close proximity to the processor? Thanks a lot for so much In depth review. 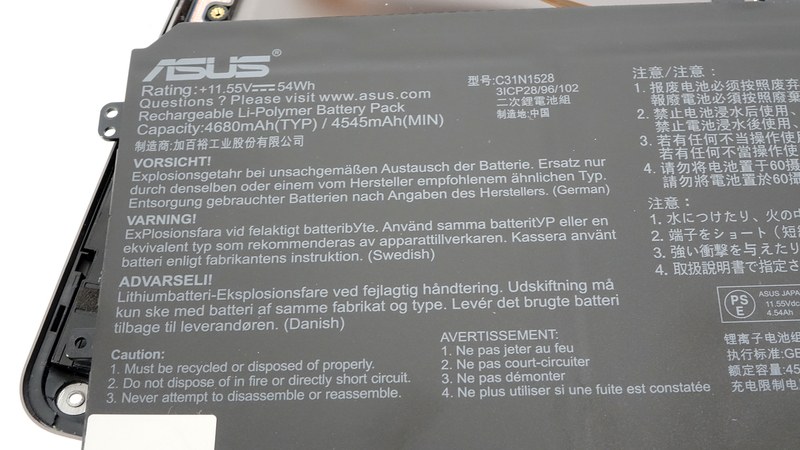 I still have concerns about the reliability of Asus in laptops. Can you suggest me any other brand in the same price range . Thanks for this review. Just a quick question: Would you recommend this laptop for photo editing?